Nigeria is a beautiful place with different cultural heritage. When it comes to Nigeria, people’s thoughts are filled with different negative ideas of things heard, but Nigeria and Africa as a whole has divers beautiful cultures that can keep you here for as long as you wish. We will be talking about the culture of the people, their lifestyle, beliefs and their beautiful heritage. Talking about the cultural heritage, we are going to delve into the beautiful culture of the Ijaws located in the South-South region of Nigeria. Every geographical locations have their own cultural heritage which makes us unique in any setting we find ourselves in the globe because every family has a culture likewise every community has cultural values that keeps their land. Culture is refinement of our society and what we believe in. A person’s cultural heritage is made up of the norms and traditions which is passed from one generation to the next, i.e. from parents to offsprings. No one is born with a culture, we only learn as we begin to grow. Culture is a way of life, especially the general customs and beliefs of people; it’s a way of life of a group of people. It can be reflected in the way people dress and their relationship with people. Culture is about what has been in existence in the community. People are free to practice whatever culture they feel as long as this does not harm anyone. The South-South is made up of (6) six states, but we are considering the cultural heritage of the Ijaws in the Niger Delta and Bayelsa in the South South of the nation. The Ijaws are a collection of people existing naturally, mostly along the forest regions. 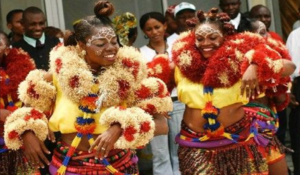 They are known as the “Ijo” or the “Izon” they are the tribe that lives within the Nigeria Delta Region. 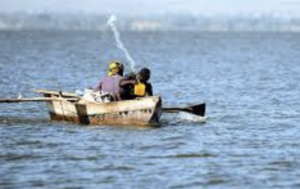 Some of the Ijaws are found in the other states in Nigeria where many of them are fishermen living in camps, they are over 10 million people, they live near the sea and they are also connected to others by trade. Traditionally, it is believed that the early ancestors i.e. to say the “Orus” were of divine origin, they were people devoted to a spiritual culture, made of water (hence they are known as the water people legend called the Beni Otu) meaning “water people”. When we talk about the Ijaws, we are talking about people connected to water, though most of them are Christians now, but some still practice and serve the water spirit known as the “Owuamapu” they believe that water spirit are like humans and humans dwell among the water spirit. 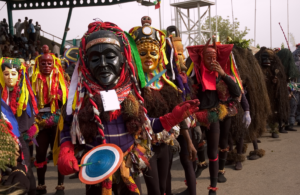 The Ijaws do have a festival in honour of the spirits lasting for (7) seven days where masquerades, men in different outfit that represents the different forms of fishes and animals of the water spirit known as the people of the marine world. This comes towards the early year or end of the year. The spirits possesses whoever they choose, in order to communicate with the people, they also dance towards a particular beat of the drums and manifest the influence of the water spirit through their dance, the biggest masquerade comes to do a sacrifice for the people, controlled by someone, moving round the town. People are not allowed to come out but to stay indoors throughout the period, they move about the town making enchantments which are believed to be for the cleansing of the land, the people are eager to witness these festive periods because it is a time of fun for them, they get to meet new people and it connects them to family and friends. The maiden dance takes place also, it’s a dance where young girls come out to dance, it is performed in a dramatic way expressing the rich culture and reflecting the people’s heritage, their marriage culture is also beautiful, its full of ceremonies which are completed by the payment of the bride’s dowry. Their occupation: The Ijaws live by fishing and farming which is a great benefit to our nation and Africa as a whole, they trade in fish, one of their produce is palm kernel which are processed for export and trade in Nigeria and Africa, they were the first people to have contact with the Westerns. They are also known as the oil states where crude oil is being produced, its oil and agricultural produce are of great benefits. Talking about their local dishes, it is well known by many and it is wide spread in Nigeria, these include: fish, water yam. Snail, oysters, plantain, but most of their dishes are prepared with fish and palm oil name: Polufiyai, Kekefiyai. Some of these dishes when prepared are eaten with starch, a food made out of cassava which is so tasty. Traditional religious practice is centered around the “water spirit” in the Niger Delta and also paying tributes to the ancestors. They are fun loving people, peaceful especially the periods towards the end of the year where all the Ijaws people and other people from all works of life come together to celebrate the cultural heritage. This is the beautiful cultural heritage of the Ijaw people also known as the ”Ijo” or the “Izo” people of the South South, zone of Nigeria. When you thing of visiting Nigeria, think of visiting South South and see more beautiful things for yourself about their beautiful culture and heritage.